Serving Vinton For Over 10 Years! We’ve got the area’s best tire selection, at the best prices. Choose tires from top brands like Hankook, Cooper, and Goodyear . We’ve also got a selection of farm and ag tires, and ATV and commercial tires. We began in 2006. Since then, we’ve grown into the business you know and trust. With the constant change in the automotive industry we also have to learn and adapt to help maintain your vehicles to their best. We’re so much more than another average auto repair shop. 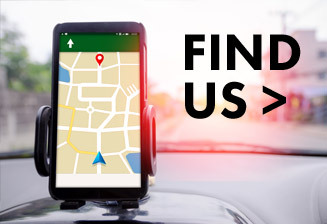 Our free local pickup and local shuttle service makes it more convenient to get your vehicle to us and get where you need to go. If you’re from Vinton, IA, Waterloo, IA, or Cedar Rapids, IA and you need auto repairs, make sure we are the first place you call. Count on our fully-licensed and insured company to take care of your auto repair and maintenance needs. We are your custom exhaust specialists at Vinton Tire & Auto Repair. Whether you want more horsepower, or just to sound a little meaner coming down the street, a custom exhaust will do the trick. Stop in and see us Monday-Friday 7:30 a.m.-5:00 p.m. or Saturdays 7:30 a.m. -12:00 p.m. You’ll find us at 610 West 4th Street in Vinton, IA. Give us a call now at (319) 472-2406 to schedule your appointment.